Expedia Arab Street District holiday packages help you save cash! Bundling your bookings will give you more spending money for your awesome holiday. Savvy vacationers who purchase a package deal on Expedia can save up to 59%*. Our impressive global database features more than 321,000 properties worldwide and 400 partner airlines. With such a great range of options, creating your dream holiday will be easy! You can delay your holiday reservations with us because we don't charge cancellation fees for almost all of our bookings. Itinerary looking a little thin? Arab Street District holiday all booked but don't know what to do when you arrive? Let us guide you. This suburb won't disappoint when it comes to attractions. The Singapore Flyer and the Peranakan Museum are a few wonders that are just a walk away. History has infinite lessons. Drink in the knowledge and become more familiar with times past at National Museum of Singapore. There's a great range of things to keep you busy in this destination. The intimacy and mastery of live theatre is not to be missed. Purchase your ticket for a performance at Esplanade Theatres and experience its magic and charm for yourself! Still got time to spare? Want to discover the everyday stories of human history? Get an expert insight into the realities of yesteryear at Asian Civilisations Museum. 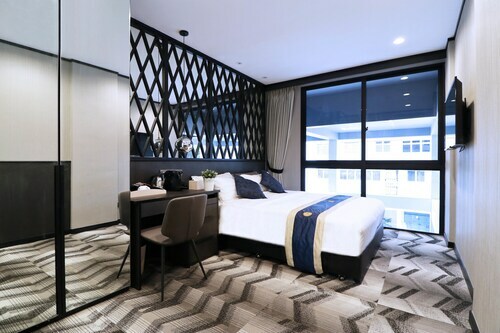 Offering access to a diverse range of accommodations, Arab Street District is a perfect place to base your next cheap holiday or luxury getaway. Book now via Expedia and you'll be able to pick from approximately 188 options. On the hunt for a nice room with an affordable price tag? 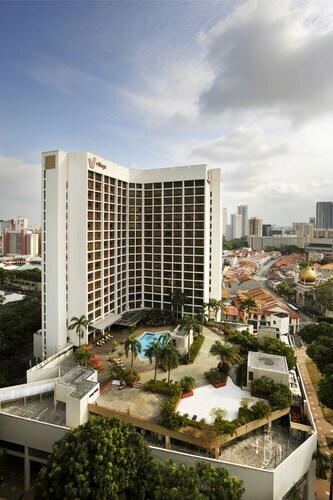 Take a look at the Hotel 81 Bencoolen (41 Bencoolen Street) or The Claremont Hotel (301 Serangoon Road). Both have good reviews, and they don't cost the earth! However, we all deserve to indulge ourselves sometimes. So, for a little opulence, the Raffles Singapore (Under Renovation) (1 Beach Road) is an appealing option. 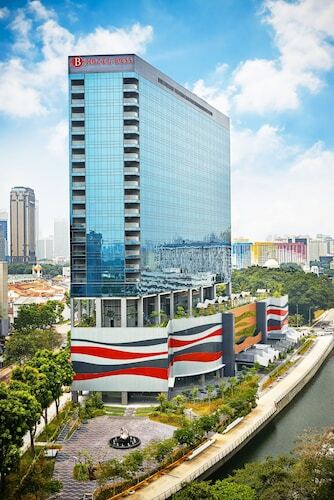 Alternatively, look up The Fullerton Bay Hotel (80 Collyer Quay). Hopping on a flight to Changi Airport (SIN) is the most convenient choice for many travellers. When you arrive, you'll be 10 miles (16 km) from Arab Street District. Located in Kampong Glam, this hotel is within 1 mi (2 km) of Raffles City, National Museum of Singapore and Singapore Flyer. Chinatown Heritage Center and Gardens by the Bay are also within 3 mi (5 km). Bugis Station is only a 2-minute walk and Lavender Station is 11 minutes. 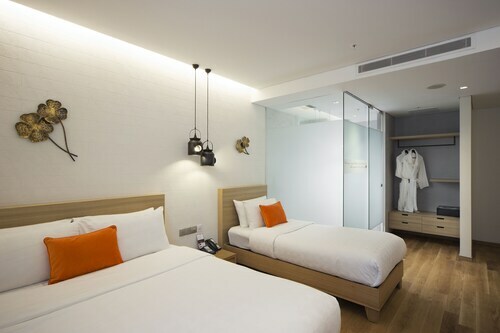 Located in Kampong Glam, this hotel is within a 10-minute walk of Malay Heritage Centre and Haji Lane. Sultan Mosque and Suntec City are also within 1 mi (2 km). Nicoll Highway Station is 6 minutes by foot and Lavender Station is 12 minutes. 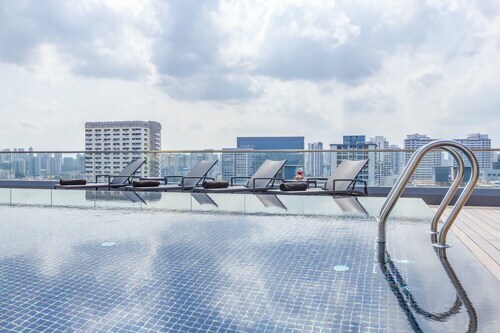 Located in Lavender, Singapore, this hotel is within a 10-minute walk of Mustafa Centre, City Square Mall and Sultan Mosque. Bugis Street Shopping District and Haji Lane are also within 15 minutes. Lavender Station is 9 minutes by foot and Farrer Park Station is 11 minutes. 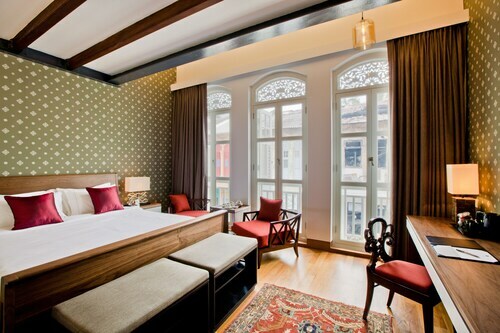 Located in Kampong Glam, this romantic hotel is within a 10-minute walk of Sultan Mosque and Haji Lane. Bugis Street Shopping District and Mustafa Centre are also within 15 minutes. Nicoll Highway Station is 7 minutes by foot and Lavender Station is 7 minutes. Located in Kampong Glam, this hotel is within a 10-minute walk of Haji Lane and Sultan Mosque. Bugis Street Shopping District and Suntec City are also within 15 minutes. Nicoll Highway Station is 5 minutes by foot and Lavender Station is 10 minutes. 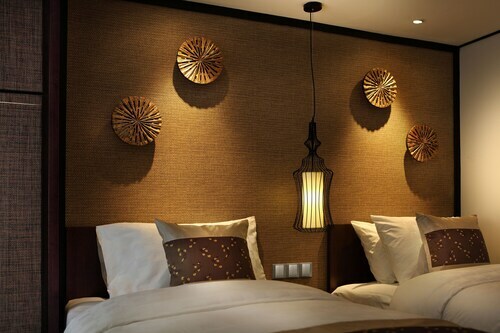 Located in Kampong Glam, this hotel is within a 5-minute walk of Sultan Mosque and Haji Lane. Bugis Street Shopping District and Mustafa Centre are also within 15 minutes. Bugis Station is 7 minutes by foot and Lavender Station is 8 minutes.